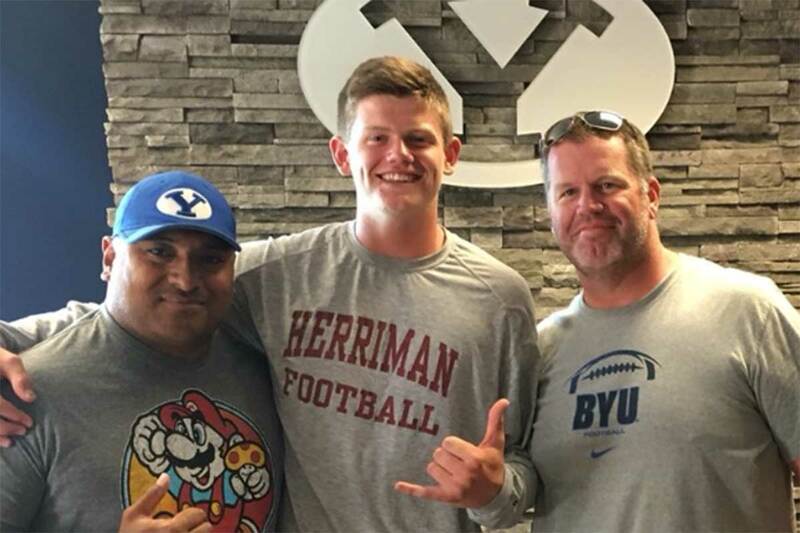 Blake Freeland is a 6-foot-8 240 pound do-everything football player for Herriman (QB, TE, DE) who announced yesterday that he will be playing football for BYU as part of the Class of 2019. Freeland preps at Herriman High School, where as a sophomore he completed 29 of 71 passes for 350 yards, one touchdown and one interception. He also spent some time playing tight end and defensive end and competes for the track and field and basketball teams at Herriman. Freeland is not yet rated by Scout, Rivals, or ESPN. His father Jim was a linebacker for the BYU football team in the 1990s and his mother was a three year all-conference basketball player for the Cougs. He is LDS and is currently undecided regarding serving a full-time mission. Class: 2019 HT/WT: 6’8”, 240 lbs. Freeland: A big part of it is the family atmosphere. BYU has a great facility and real fun coaches. During the recruiting I really liked how real the coaches were with me the told what they needed to do and where I stood with them position-wise in the years moving forward. Freeland: I admire Coach Lamb because he’s such a cool guy that’ll also be straight up with you, and he was the one that first approached me about being a cougar. 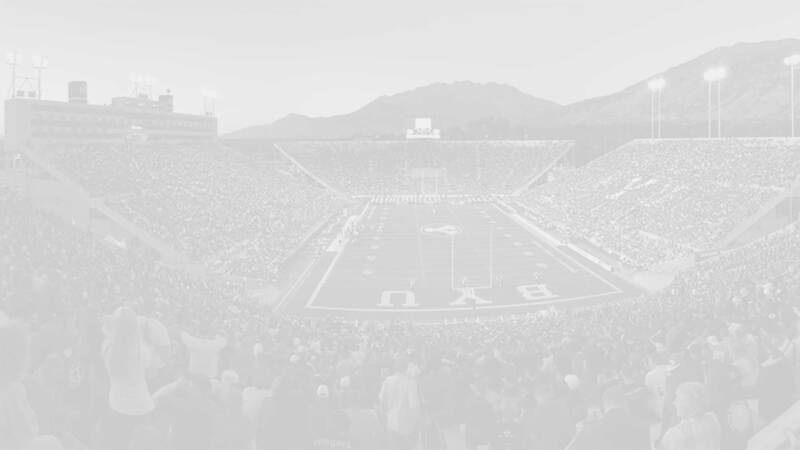 BYU Insider: What other schools were/are showing you love in the recruiting process? Freeland: I was talking to Cal, Stanford, Utah State and a few others. BYU Insider: What are some of your favorites (movies, books, bands, music, breakfast cereal, etc.)? Freeland: Forrest Gump, Bruno Mars, Usher, Kendrick, and I always love a good bowl of fruity pebbles and anything meaty or pasta. Freeland: Being on the 5A Herriman state championship football team as a freshman, going to state for track as a freshman, earning a starting spot on the football and basketball teams as a sophomore, and taking 3rd place in state for the shotput and 4th place for javelin. Freeland: Tueni Lupeamanu was a Herriman HS graduate that played with [current BYU linebacker] Francis Bernard. He was our giant quarterback but also played some outside backer. Lupeamanu went to Idaho State to play defensive line and now plays for the Jacksonville Jaguars. I want to emulate him on the field because he always did what would make the team more successful in whatever position he was put at. Freeland: To get a lot of reps defensively and to run the ball more on offense while making good decisions. And obviously the big one is to win the State Championship.